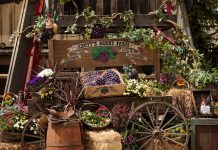 On April 1, Knott’s Berry Farm is set to debut their newest attraction: VR Show Down in Ghost Town. 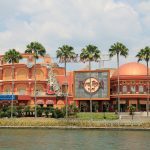 This new interactive attraction can be experienced for an additional $6.00 on top of your ticket price. 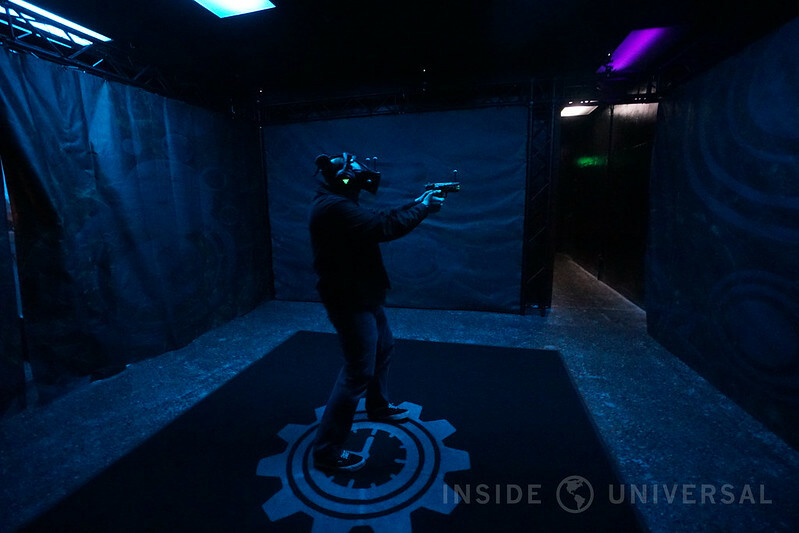 In anticipation of the attraction’s debut, Knott’s was gracious enough to invite Inside Universal along with other members of the media to an exclusive sneak peek at their new VR experience. 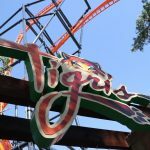 Knott’s Berry Farm has joined forces with VRstudios to create an original 3-minute gameplay experience. Located inside the Boardwalk Arcade just below Voyage to the Iron Reef, you will embark on a mission to save Ghost Town from evil robots bent on destroying the historic city. 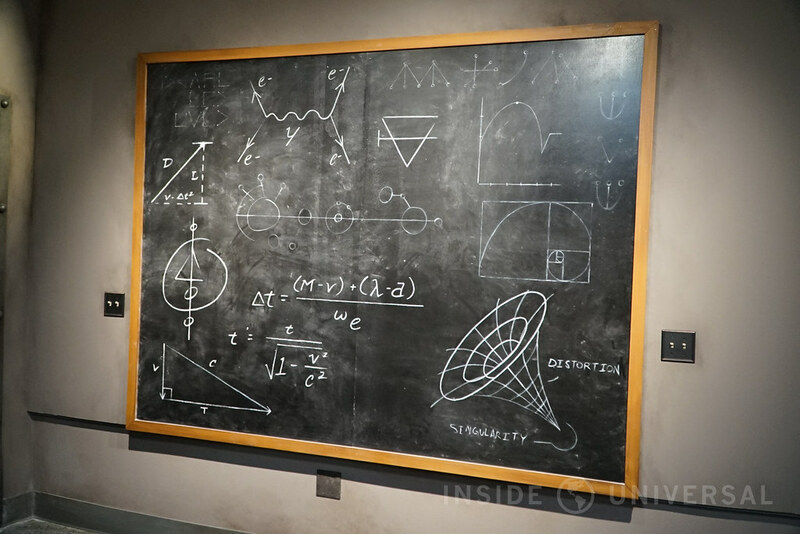 Fans of Knott’s Berry Farm’s history will be delighted to learn that the attraction’s story line is based on Professor Welles and the classic Kingdom of the Dinosaur attraction. From there, Professor Welles will transport you and your follow guests back to the 1800s to defend the town of Ghost Town. Before we jump ahead to the experience itself, let’s focus on the laboratory where your experience begins. 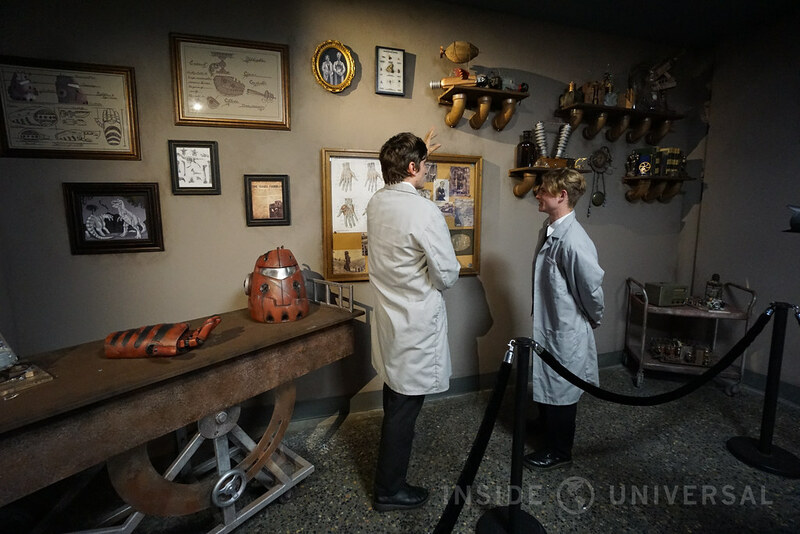 Professor Welles and his team of scientists allow you to wander the laboratory and examine many of the inventions and artifacts that they’ve collected. Before you head into the capture spaces, you’ll watch a brief video that will explain what you’re about to encounter. 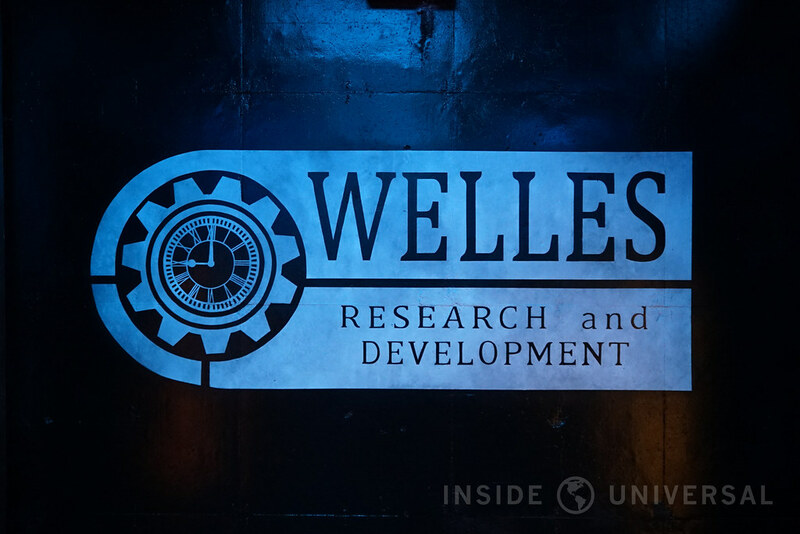 After the video, you and your team will be escorted into the Welles Research and Development Department. 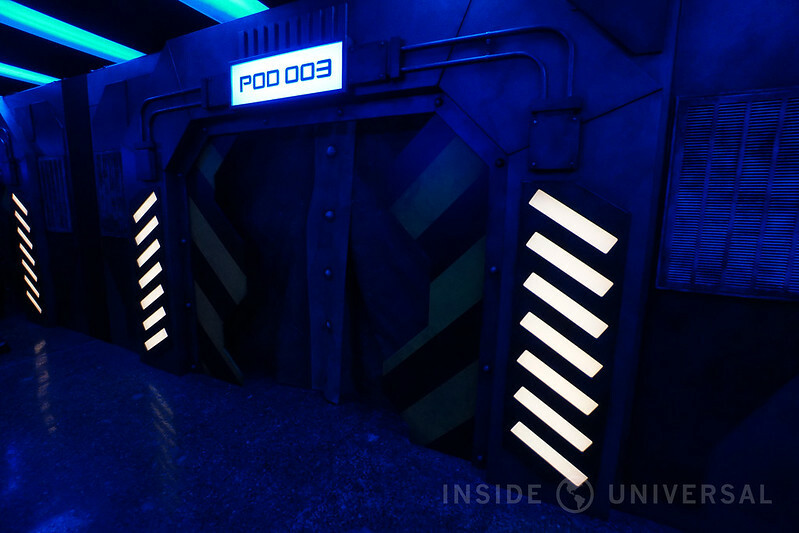 There are eight pods total, and each capture space holds two guests. Once you enter your respective space, a laboratory assistant will outfit you with your VR headgear, headphones and gun. Once your headset has been placed on your head, you’ll be using this time to get yourself adjusted to your surroundings. As with any modern-day VR experience, this is a full 360-degree perspective that will place you right in the middle of Ghost Town. Once the experience begins, you and your team will be transported into battle where you will fight to save the town from evil robots. For every villain you kill, you’ll earn points to your rank. Along the way, you’ll also encounter special power-ups that will boost your shooting power. While VR has become something you’re able to do in your own home, home experiences do come with some challenges as Executive Producer Christian Dieckmann acknowledges, noting that “the challenge with VR for the consumer is that there are several barriers of entry that they’ve got” – including the cost of suitable equipment and your surrounding environment. 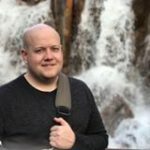 What makes VR Show Down in Ghost Town fun and exciting is the fact that it’s a fully immersive experience. You’ll shoot, walk around and may even need to duck and take cover at different moments throughout the game. On top of that, the game includes several nods to the real life Ghost Town inside Knott’s. 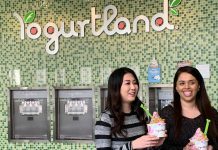 “It’s really exciting for us, we have eight systems here, and actually network systems together. So it’s not only two people playing untethered, free to move around in a single physical space together. 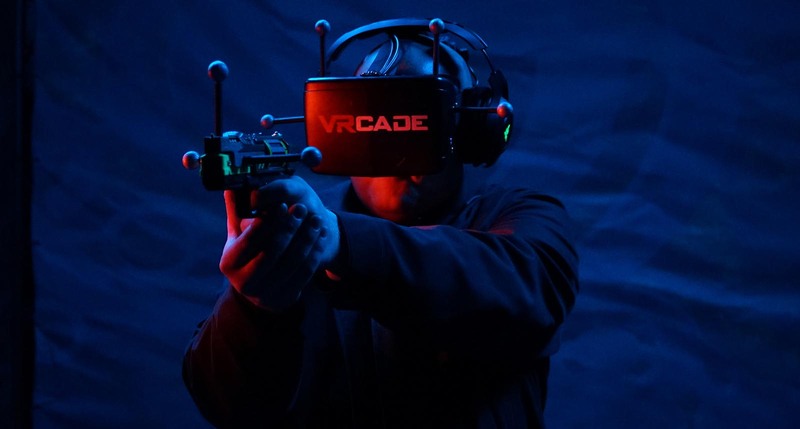 It’s also networked with another pod of two people for a four player virtual experience,” as Ivan Blaustein from VRstudios notes. 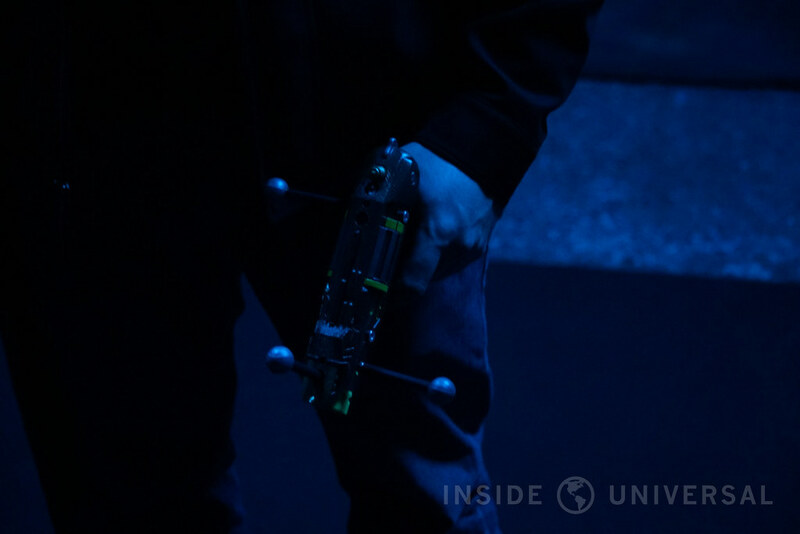 Beyond just the gaming, what’s impressive about this experience is the technical aspect. 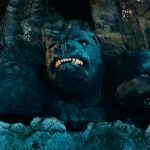 As Blaustein notes, the attraction is composed of “an array of eight cameras that are all looking around down at the space tracking multiple users both their head and their hand,” producing a seamless experience. What also makes the experience special and unique is that VRstudios’ developed all of the equipment in house, making the headset and gun are proprietary for Knott’s Berry Farm and Cedar Fair. 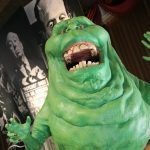 In all, VR Showdown at Ghost Town is a solid addition to Knott’s Berry Farm and provides an opportunity that is unique to the Southern California theme park market. 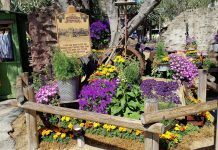 We want to thank Knott’s Berry Farm for their amazing hospitality. They were kind enough to not only allow us to participate in the VR experience, but also provided us with dinner, boysenberry popcorn and game cards to use in the arcade.